Expand your market by growing a wide selection of peppers. Hot and sweet peppers are used in cuisines around the world so the more types of peppers you offer customers, the more likely you are to find buyers. Think of all the cuisines that use peppers: Mexican, Southwestern, Cajun, Indian, Thai, Italian, Ethiopian...the list goes on and on. By growing a diversity of peppers, you are likely to attract a diverse customer base. Johnny’s has more than three dozen varieties of peppers, so you can choose specialties that meet the demands of your customers. You can cater to specific ethnic groups that may have trouble finding their favorite peppers in supermarkets. 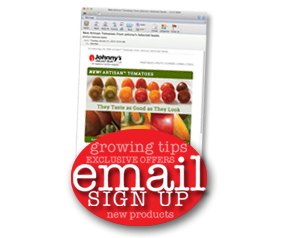 You can encourage customers to try new peppers by providing recipes and preparation suggestions. Peppers have a long and illustrious history. Native to Central and South America, they were in cultivation by the Aztecs when the Spanish explorers arrived. The Spanish, who were hoping to find a new source of expensive black pepper, realized that the local hot peppers would be a good substitute, so they brought them back to Spain. By the first half of the 16th century, they had spread to Italy, France, and Germany and within a few more decades to India and the Balkans. The English re-introduced them to America. Most of the peppers in commerce today are of the species Capsicum annuum. They are broadly divided into sweet and hot peppers — though there may be the occasional crossover. With the Spanish heirloom Padron, for example, one out of 20 fruits will be hot, the rest mild. Sweet peppers include bell peppers, pimentos, cone-shaped frying peppers, and long, lobed Shishito types. Weather can often produce unexpected heat or mildness in some peppers, with hot weather generally leading to hotter peppers. Another important pepper species is Capsicum chinense, with Habanero being the best-known variety. Hot peppers, known as chile peppers, are categorized by their capsaicin content — their heat. They are ranked on the Scoville Heat Unit scale, on which a bell pepper has 0 Scoville Heat Units, a Numex Joe E. Parker has 4,500, a Serrano 25,000 and a Habanero 150,000-200,000. The hottest pepper known is the Bhut Jolokia, a C. chinense pepper from India that scores 1 million Scoville Heat Units. Sweet and hot peppers are grown the same way. They should be sown inside or in a greenhouse 8 to 10 weeks before you plan to set them out. Heat lovers from the start, they require a soil temperature of 80-90°F/27-32°C to ensure fast germination. After the seeds germinate, they should be transplanted into 2” cells or pots so that they can develop strong root systems before planting. The ideal seedling for planting outside has buds but no open flowers. Peppers should not be transplanted outside until the soil and weather have warmed. In cooler climates, they do best on plastic mulch covered with row cover on hoops until the weather gets hot. Plants should be watered in with a high-phosphorous solution. The first peppers should be picked as soon as they reach full size to encourage further fruit set. After that, fruits can be left to ripen to their mature colors of red, yellow, or orange. Peppers are packed with antioxidants and vitamins, and they are very low in calories. Whether your customers like their peppers hot or sweet, nearly everyone buys peppers. Pelleted seeds can be planted with a mechanical seeder. The uniformity of shape and additional weight of the pellet make it possible to plant even tiny seeds directly to the field using a seeder. Pelleted seeds can be spaced regularly, either with a seeder or by hand. Even spacing prevents the need for thinning later on. The development of pelleted seeds is often attributed to California outlawing the use of short-handled hoes on vegetable farms, which were widely used to thin and weed but caused worker injuries. When plants are evenly spaced, workers can use long-handled hoes. With root and bulb crops such as onions, carrots and parsnips, even spacing results in straighter, more uniform roots because each plant has the same amount of soil in which to grow. The occurrence of small or deformed roots is much less common from pelleted seeds. Pelleted seeds are often used for growing plugs. The pellets allow for easy use of a hand-held seeder and precise placement of one seed per plug. Some seeds, particularly lettuce, are primed before pelleting, which begins the metabolic process leading to germination. Because some of the early steps toward germination are completed before the seed is planted, germination happens more quickly. Germination times can be 50% faster with primed seed. When seeds germinate quickly, they may avoid potential problems including soil crusting, weeds, and soilborne diseases. On the down side, primed seed doesn’t have the same storage life as unprimed seeds, so we recommend that you purchase only enough for the current season. You can find pelleted varieties of these vegetables and herbs: Basil, Carrots, Celery, Lettuce, Onions, Parsnips. Among flowers, pelleted varieties include Celosia, Coleus, Dianthus, Digitalis, Lisianthus, Petunia. 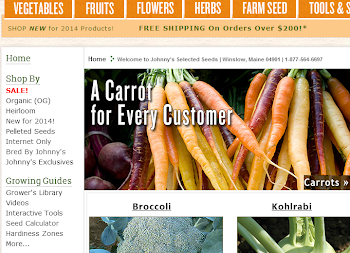 I ordered me a packet of the pelleted carrot seeds this year, I'm gonna give em a try! Thinning carrots is probable the worst garden chore ever lol!